Through my SHIFT-IT School I offer a unique range of courses that enhance productivity and fun in work and life. For the last 3 years, I’ve offered a well-received live online course: PRACTICAL ENERGY WORK … my most “right-brain” program to date. Due to limits in my schedule (there are only so many things I can do in a year), my team and I have just turned this program into a Home Study Kit. 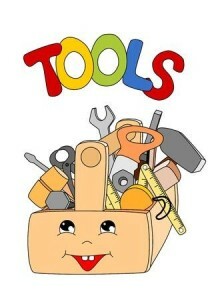 Making the material available for all, in a self-study format that you can do at your own pace. Today we are launching this Kit, at a special launch rate. In my mainstream career as a Strategic Planning Facilitator I slowly woke up to the existence of an ‘Ingredient X’ in my work. Underneath all the left-brain, logical, linear work there is a powerful right-brain, emotional, energetic component with groups and individuals that is just as important … if not more so. For successful shifts to happen the right-brain (sub-conscious) needs to be activated, engaged and onboard. Without doing so one risks powerful opposition, resistance and even sabotage. On the surface you may seemingly have agreement or compliance but underneath it can be a whole different ball game. And over time the effects of congruence or incongruence will play out. Sometimes very badly! My right-brain awakening has taken me on a fascinating path of gaining all sorts of tools. I spent over a decade researching and applying Law of Attraction techniques with my clientele (via the Abraham-Hicks and THEO material). And have taken studied hypnotherapy, voice dialogue, shamanism, sound & brain waves, and trauma research. I’ve also learned several energy work and consciousness modalities these last years (BodyTalk, Matrix Energetics, Energetic Synthesis and also Systemic Constellations) … as these approaches are excellent for dissolving blocks, resistance and old negative programming. 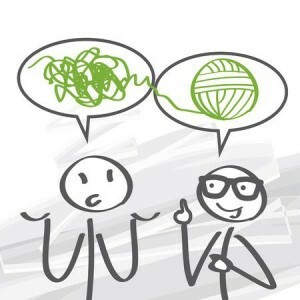 In fast and innovative ways! In addition, I had a spontaneous kundalini awakening (if being dedicated to personal growth for decades counts as spontaneous) … following an interesting ‘contact’ experience in 2009 which I’ve begun to discuss publicly. 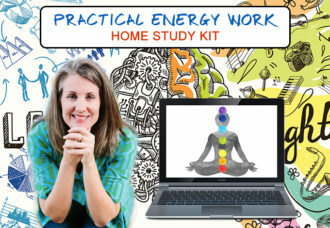 This new Practical Energy Work Kit step-by-step explains what the ‘right-brain’ is and how to successfully interact with it for a more balanced, exciting and novel life. Chances are you already have been using your right-brain extensively, however may not be consciously aware of how you are doing that and what your own unique ways of accessing it are. Right-brain awareness is also surprisingly useful in the business arena too (I use it all the time in my process work with groups and individuals). 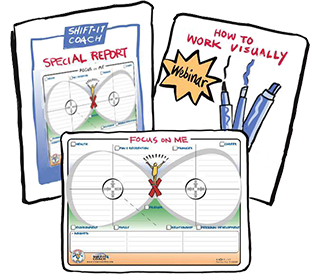 In this New Kit I explain and demo the methods I use in my own life and in my work with others … and get you seamlessly using them too! We cover this terrain over 15 pre-recorded modules that you watch at your own pace and timing. 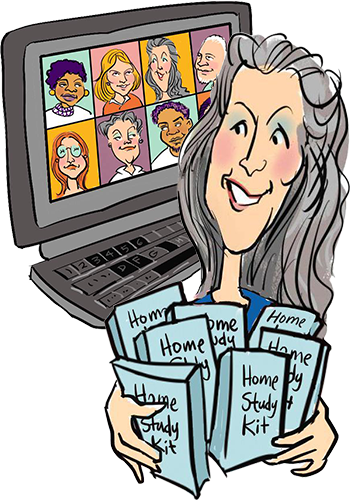 This Home Study Kit is designed for Process Professionals, as I attract a lot of consultants, facilitators, trainers, coaches, therapists and the like. However it’s also for ANYONE interested in learning how to effectively connect with your FULLER, WHOLE BRAINED SELF. Not just for your own benefit but for the benefit of our families, communities and the planet-at-large. Cause it really is time to unite the left/male and right/feminine in our world so humanity can SHIFT to a more balanced and healthy existence! And we do that one dedicated person at a time. Many of you have been asking me when this New Kit will be ready. Well, here you go … its ready! With two levels to choose from: Basic and Deluxe. Deluxe includes 3 private coaching sessions to help with your understanding and integration. P.S. Canadian Currency: My offerings are in Canadian currency … the Canadian dollar is low at the moment which means this product, or any of my products or courses, are a bargain right now (an additional 25% off for Americans and some other regions). We also offer an assortment of monthly plans. P.P.S. For a list of all of my products and courses, click here.